Shenaz lived first seven years of life traveling on cargo ships as she was born to a Merchant Navy Captain. When Shenaz was in the first year of her college, a photographer spotted her and got her the first modeling task of a soft drink Gold Spot. After graduating from college and working for some tv ads like Phillips, Akai, she moved to New York where she enrolled herself in the acting and theater program in Lee Strasberg Theatre and Film Institute. She pursued an eight months writing course at the New York University as well. She started working as a Video Jokey in MTV’s Most Wanted in 1992. 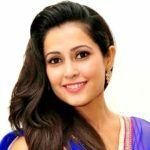 In 2001, she was featured in a Telugu Film Eduruleni Manishi, her debut film in the Tamil Film Industry. 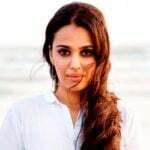 It didn’t take her long to set her foot in the Bollywood, as she made her debut in Ishq Vishk in 2003 starring her Shahid Kapoor and Amrita Rao. 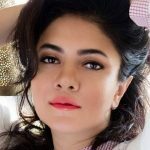 Shenaz after completing Ishq Vishk moved to Hong Kong in 2003 to act in MTV Whatever Things, the then-highest rated show in South East Asia region. In 2005, she fled back to India and hosted The Great Indian Laughter Challenge and Unforgettable Tour. Treasury hosted an American travel TV show named Culture Shock in the year 2007 and has also written some travel articles in magazines comprising Cosmopolitan, Femina, and Elle. Just a few days before her film Main Aur Mr. Riight was to release in 2014, she posted an open letter on social media seeking justice for females against Rapists and dodgers. 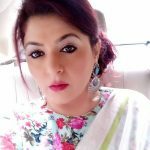 She tagged some of the powerful and influential leaders, actors and businessmen of India asking them to go on hunger strike for the cause. She calls herself ‘Trans-continental’ as she keeps shuttling between India and the United States of America depending on the shooting schedules.